Neath Rugby Supporters Club have launched the search for five more greats to join their illustrious Hall of Fame. 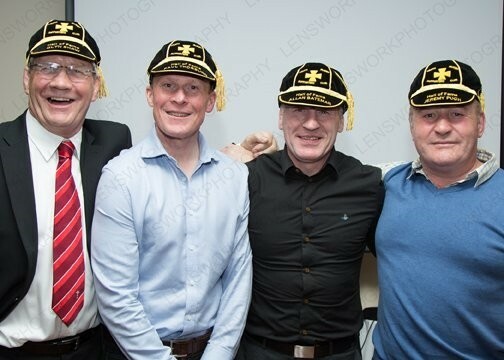 Now, the supporters club is on the lookout for more of the club’s all time greats to join them as they seek to recognise and honour individuals synonymous with Neath RFC – the legendary figures who have shown exceptional commitment and contribution to the club. Over the next few weeks the supporters club will be asking supporters to nominate any individual who they feel will be worthy of inclusion in the Hall of Fame. They can be a player, a coach, an administrator or volunteer. Basically, any person who has shown a remarkable loyalty and commitment to Wales’ oldest rugby club. There’ll be no shortage of candidates spread across the decades. The likes of Grahame Hodgson, Elgan Rees, Adam Jones or maybe Barrie Williams are all likely to feature in people’s thinking, but anyone who has made an outstanding contribution to Neath RFC can be nominated. In person – Visit our table in the clubhouse on match days and fill in the nomination form. The deadline for nominations is Saturday 18th March and fans can nominate as many individuals as they like. The final inductees will then be chosen by a panel of Supporters Club members and then be formally inducted at the Hall of Fame celebration evening at the end of the season (date to be confirmed). So get your thinking caps on and let us know who you would like to see in the 2017 Hall of Fame. This entry was posted in 2017, Hall of Fame and tagged 2017, Hall of Fame, Hall of Fame 2017, Neath, Neath Rugby, Neath Rugby Supporters Club. Bookmark the permalink.